Sebastian Austin (14); Lukas Bezanson (14); Jayde Becker (15); Ruby Lockart (15); Joseph Malley (15); Trevor Stokes (teacher); Matthew Morin (15); Kyle Leo (17); Shwana Bestoun (16); Phillip Joseph (17); Willy Dugray (17); Vaughn Sills (16); Frankie Joseph (17); William Vu (17); Jordan Braun (15); David Haeber (15); Michael Antoine (15) and Raymond King (16). LOOK OUT WORLD – WE’RE COMING!!! So inspiring! These look like people ready to take on the world! Well done. You goes ROCK, everyone at SHLF is so proud of you! The courage, focus and determination required to run both the Half and full Marathon is immense and the gratification and rewards that you feel right now are yours for a lifetime! Hopefully the stiff muscles will disappear shortly. 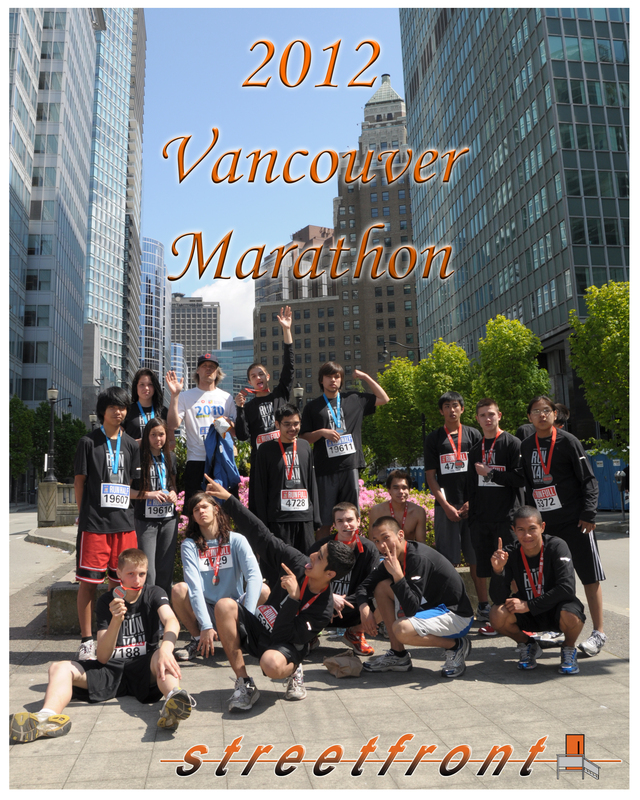 Spring Session Streetfront Style Vancouver Marathon Success!!!!! !